It’s the 30th of November, happy St Andrew’s Day everyone! Outside a Westerly gale is howling in off the North Atlantic, winds are gusting at 55knots, that’s over 60 miles per hour, the rain swirls horizontally hardly touching the ground, but soaking everything that dares to be vertical, definitely not motorcycling weather! Inside Dookes H.Q. the kitchen log fire is oozing warmth and comfort, which is greatly appreciated by Deltic, my old gun-dog, who firmly refuses to budge from his chosen cozy spot in front of the dancing flames, who can blame him! He’s like me now, retired and content, I hate to think of how many muddy wet miles he’s trotted alongside me, patiently waiting to pick up a pheasant, partridge or pigeon, he’s earned his time in front of the fire. The espresso pot hisses as it produces a brew of strong, almost black, Italian coffee and my mind is transported back to sunnier days in Italy riding from Bolzano to Milan. I had to slightly rearrange my planned route on account of bad weather over the Stelvio Pass so I consulted the map for another way to go without too much Autostrada riding. Hmm, Passo del Tonale with an elevation of 1883m/6178ft, that would fit the bill! I wander into the lounge and settle in front of the other log-burner as my dear old dog won’t let me near the one in the kitchen. Hmm, thinking of Italy let’s have a Grappa to accompany the espresso! Ah yes, the ride. . .
Leaving Bolzano to we followed the wide Adige valley to San Michele, where we hung a right and crossed the pale green river. The SS43 road soon began to climb up through vineyards and it became quite a pleasant day. The scenery got more alpine as we approached Passo del Tonale, very pleasant indeed. The thing about Tonale today is that it’s one of Italy’s biggest ski stations and unfortunately has been blighted with a whole bunch of, frankly, ugly apartment blocks! I’m sure that when there is snow everywhere and the place is buzzing with ‘Apres Ski’ activity, it must be quite pleasant, but it looked pretty grim to me as we rolled in. It didn’t smell too good either, the verdant ski slopes were well populated with goats doing a great job at keeping the grass nice and short and the air was full of their distinctive odour. Oh yes, I nearly forgot, their “calling cards” were all over the road as well! Battles were sporadically fought here between 1915 and 1918, but mostly it was a cold, bloody, stalemate. Italy had entered the war in order to annex parts of Austria, including the regions of present day Trentino and South Tyrol. The Italians had hoped to gain the initiative with a surprise offensive, but the front soon bogged down into trench warfare. This was grimly similar to the Western Front fought in France, but at high altitude. The fighting here was at times savage, but in reality the most deadly enemy was the weather. Both armies also suffered from poor logistical supply networks, meaning that not only ammunition, but more importantly food and fuel, was constantly in dreadfully short supply. Autumn 1917 on the front line. The soldiers had to contend with snow, ice and sub-zero temperatures and soon it was dubbed “The White War”. The civilian population was forced to evacuate and many thousands died in Italian and Austrian refugee camps from malnutrition and illness. The really sad thing about the war here, apart from the 1.2 million lost lives, was that the area has always been and still remains, somewhat autonomous, walk into a shop and you will be as likely to be greeted in German as Italian, the locals had always rubbed along just fine. The front line passed directly through Passo del Tonale. Today a memorial stands in what was once No-Mans Land. Built in 1936 on the instructions of Benito Mussolini and designed by architect Pietro Del Fabbro, it is dedicated to the soldiers of all countries who died fighting in the surrounding mountains during WW1. Actually, its much more than just a monument, it’s also an ossuary, where the wall niches hold the remains of 847 soldiers. I parked Baby and walked past the heavy wood and bronze doors into the Stygian gloom of a large square crypt. The atmosphere was oppressive and cold. A rack of votive candles flickered before a small altar, the light from their tear shaped flames fell onto a large marble statue of the risen Christ in the center of the room. I paused for a moment taking in the scene and then lit a candle myself. I’m not big into religion these days, but it seemed the right thing to do as I stood there, being the only living one of the 848 of us who were present. Walking around the crypt I paused frequently in front of the niches. Some were marked as “Unknown Italian Soldier” or “Unknown Austrian Soldier.” Some had names and others held fading photographs of the occupants, sometimes in uniform and sometimes in civilian dress. Some niches held multiple remains. I only did one tour around the room before I had to leave, it was just too oppressive and hauntingly sad. Outside, steps curve to a semicircular terrace above the crypt where I was able to sit in the warm sunlight and ponder the room beneath me. I was honestly glad to get out of there. Today in the surrounding mountains, as snow and glaciers melt with climate change, further corpses and remains are being uncovered. Modern generations are still honouring the memory of these newly discovered soldiers of a hundred years ago, but thankfully the mountains are now playgrounds, not battlegrounds. Playgrounds for people like me, free to play on a wonderful Harley Davidson. Most of all, just grateful to be Free. This retirement game is pretty OK, particularly with such a fantastic summer of sport going on all around. First there was the splendour and power of Le Tour de France, then the cricket test matches between England and Australia have enthralled and are now being followed by the first warm up games for the rapidly approaching Rugby Union World Cup. If only the weather in the UK was quite as predictable! Time to slip back to Italy for a top up of coffee, fine wine and sunshine! It’s true to say that I have fallen hopelessly in love with everything I have seen so far in Italy. The country is a place where passion is worn on one’s sleeve and wow, do the Italians get passionate about things! On top of which, everyone I have met have been friendly, happy and super welcoming. Note to self; learn to speak the language better this winter! 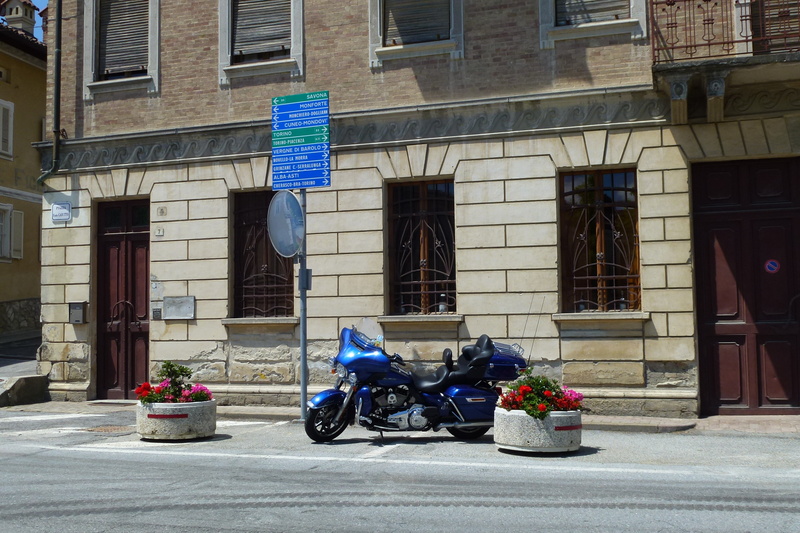 Drifting back to the hills of Piedmont, in the North West of Italy, on a Harley Davidson is no hardship at all! The name Piedmont apparently comes from latin, meaning “at the foot of the mountains,” though if you speak French it is also easy to see the link and as the area is bounded on three sides by the Alps it’s also pretty obvious too! 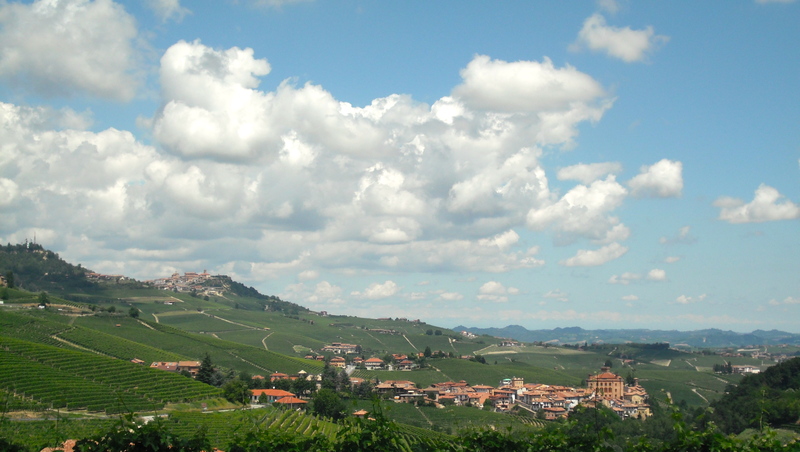 Piedmont is an important industrial region, it is home to FIAT the automobile manufacturer, but for me more importantly is one of the greatest wine-producing regions in Italy. Here they do not make “old rot gut” stuff, oh no, this is the home of top end prestigious wines such as Barbaresco, Moscato d’Asti and most revered of all, Barolo. 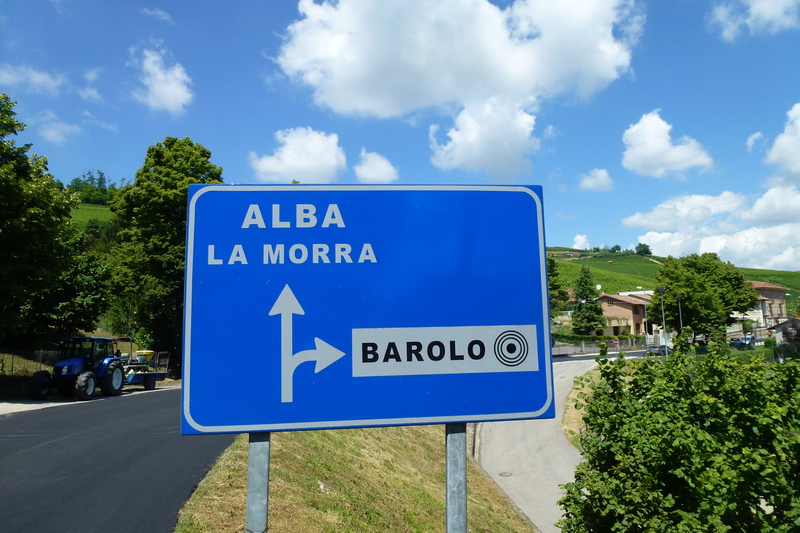 Situated about 30 miles southeast of Turin, yet light years away in time, lies the small town of Barolo, population 750, which gives it’s name to this most majestic of wines. On my last trip I slightly slipped up, I didn’t buy enough, so hence my return! We rolled into the compact town square just after midday. The town was quiet, actually it was more than that, it was dead. The hot air was still and the scorching sun reflected back off the terracotta roof tiles making the sky above shimmer. It’s an unassuming little place, really only attractive from a distance when the red tiles stand out against the verdant vineyards that run right up to the edge of town. From a small bar came muffled voices and the alluring scent of strong Italian coffee. Baby Harley’s engine ticked as she cooled gently in the heat of the narrow streets. A large truck with French registration plates rumbled past, stirring dusty clouds up off the parched road. I walked through the open door into the shady interior of the bar and ordered a double espresso and lunch. The sunlight penetrated in shards of light that captured a million dust particles hanging like shimmering diamonds in the still air. I settled in a corner chair, rubbed my eyes and realised how much the ride had taken out of me. The lady working behind the bar smiled and delivered my coffee accompanied with a carafe of water and a glass; the Italians know much about coffee and the obligatory water was certainly welcome. My ears were singing a high-pitched wail as a dumped my riding jacket on the tiled floor. Riding motorbikes plays hell with my tinnitus, even with ear protection and a quiet helmet; it’s the legacy of years working with noisy railway locomotives! 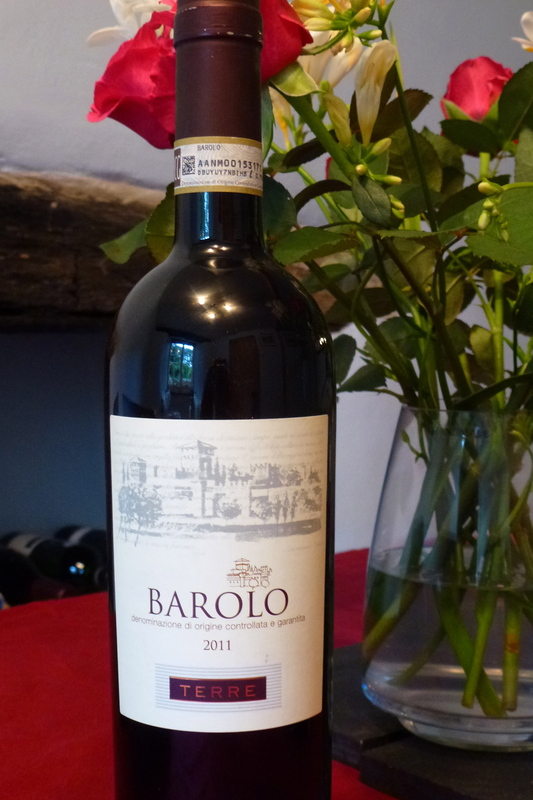 I sipped the strong, excellent coffee and pondered the sanity of riding to Barolo just for some wine. Yep, definitely a good idea! La Signora reappeared and placed a plate of heaven on the table in front of me. Filetto Baciato, made from pork fillet marinated in white wine then coated with a paste made from salami and packed into a sausage casing to age for six months, wood roasted artichoke hearts and fresh asparagus spears, a small jug of olive oil, some crisp bitter salad leaves and of course Grissini, the Turin breadstick now common all over Italy. Piedmont is rightly famous for it’s simple cuisine, at its gamey best in the autumn, but hey this is summer so go with what’s available, I’m not complaining! I contemplated a cold beer, but no, I’m riding, so stick to water. The other patrons of the bar are seemingly locals, it’s not the sort of establishment that really attracts tourists and that suits me fine. There are probably about a dozen other people as well as me, cutlery chinks against plain solid crockery as we all eat, enjoy our lunches and for those with companions, talk. My Italian language skill is not great, but I catch snatches of conversation and smile at the animated way that views are exchanged, deals made and the food discussed, yes this food deserves to be discussed it’s simple and very good. You know, just about everywhere I go it’s always about the food and sadly mine is now finished. I catch La Signora’s eye and order another coffee. Well, why not, I don’t intend to sleep for hours yet! She returns with a fresh cup and offers a bottle of grappa. It’s another Italian tradition that I love, whereby the spirit is supposed to take the edge off the caffeine or the caffeine off the alcohol, I get the logic, but either way I politely decline! Coffee gone, I settle up and step outside back into the furnace of this scorching summer. It’s nearly two in the afternoon and the glass is reading 34 degrees Celsius. Time to hunt down this small town’s most famous product and ride on!